Should You Buy Mizuho Financial Group Inc. (MFG)? Mizuho Financial Group Inc. (NYSE:MFG) investors should pay attention to an increase in hedge fund sentiment of late. 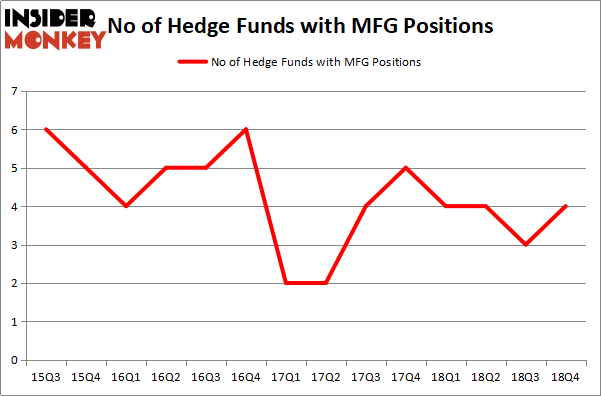 Our calculations also showed that MFG isn’t among the 30 most popular stocks among hedge funds. 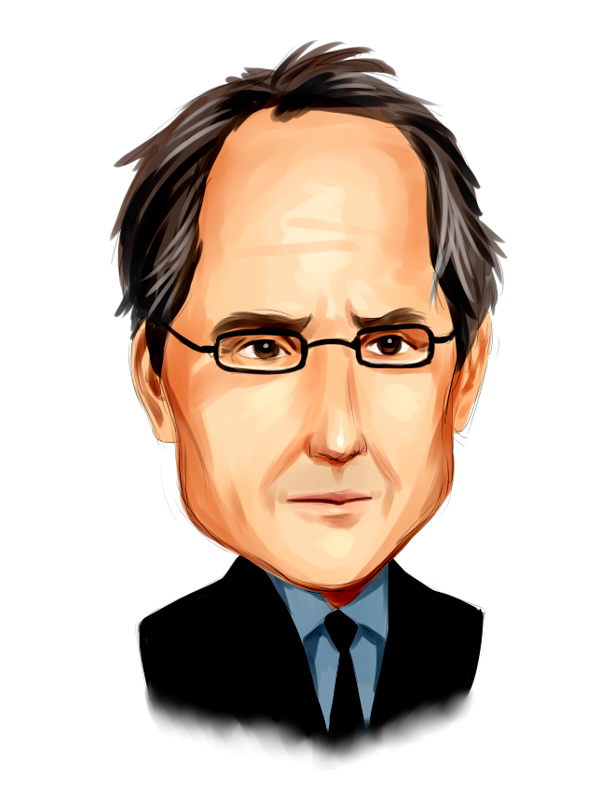 Let’s analyze the key hedge fund action surrounding Mizuho Financial Group Inc. (NYSE:MFG). How are hedge funds trading Mizuho Financial Group Inc. (NYSE:MFG)? Heading into the first quarter of 2019, a total of 4 of the hedge funds tracked by Insider Monkey were bullish on this stock, a change of 33% from one quarter earlier. Below, you can check out the change in hedge fund sentiment towards MFG over the last 14 quarters. With hedgies’ capital changing hands, there exists a select group of notable hedge fund managers who were adding to their stakes substantially (or already accumulated large positions). The largest stake in Mizuho Financial Group Inc. (NYSE:MFG) was held by Renaissance Technologies, which reported holding $6.2 million worth of stock at the end of September. It was followed by D E Shaw with a $1.3 million position. Other investors bullish on the company included Citadel Investment Group and Two Sigma Advisors. Consequently, key hedge funds were breaking ground themselves. Citadel Investment Group, managed by Ken Griffin, established the most valuable position in Mizuho Financial Group Inc. (NYSE:MFG). Citadel Investment Group had $0.2 million invested in the company at the end of the quarter. John Overdeck and David Siegel’s Two Sigma Advisors also made a $0.1 million investment in the stock during the quarter. Let’s now review hedge fund activity in other stocks similar to Mizuho Financial Group Inc. (NYSE:MFG). We will take a look at Waste Management, Inc. (NYSE:WM), Emerson Electric Co. (NYSE:EMR), Marriott International Inc (NASDAQ:MAR), and Prologis Inc (NYSE:PLD). All of these stocks’ market caps match MFG’s market cap. As you can see these stocks had an average of 33 hedge funds with bullish positions and the average amount invested in these stocks was $1585 million. That figure was $8 million in MFG’s case. Waste Management, Inc. (NYSE:WM) is the most popular stock in this table. On the other hand Prologis Inc (NYSE:PLD) is the least popular one with only 30 bullish hedge fund positions. Compared to these stocks Mizuho Financial Group Inc. (NYSE:MFG) is even less popular than PLD. Clearly hedge funds don’t like the stock. Our calculations showed that top 15 most popular stocks among hedge funds returned 19.7% through March 15th and outperformed the S&P 500 ETF (SPY) by 6.6 percentage points. Unfortunately MFG wasn’t in this group. Hedge funds that bet on MFG were disappointed as the stock returned 3% and underperformed the market. If you are interested in investing in large cap stocks, you should check out the top 15 hedge fund stocks as 13 of these outperformed the market. Were Hedge Funds Right About Selling Northrop Grumman Corporation (NOC)? Is Illinois Tool Works Inc. (ITW) A Good Stock To Buy? Were Hedge Funds Right About Dumping FedEx Corporation (FDX)? Were Hedge Funds Right About Getting Into Bank of Montreal (BMO)? Is Vertex Pharmaceuticals Incorporated (VRTX) A Good Stock To Buy? Were Hedge Funds Right About Ecolab Inc. (ECL)?